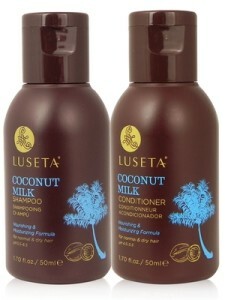 Sign up for their newsletter and you can receive a free Luesta shampoo and conditioner sample. Your link for this product (Luesta sample) sends me to cat food. Needs fixed…. Thanks Megan for the heads up. That one expired quickly and redirected to another freebie. We expired it. I would like to try the sample of the shampoo & conditioner please. Thank you!! Fancy Feast is not what I need….shampoo is what I’m trying to get! Please see that offer is expired. It says it at the beginning of the post.